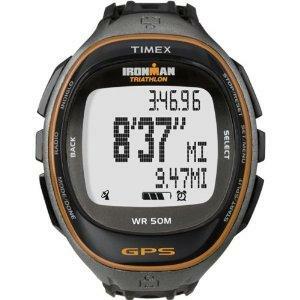 This is the summary of consumer reviews for Timex T5K267 Global Trainer Speed and Distance GPS Watch. The BoolPool rating for this product is Very Good, with 4.30 stars, and the price range is $220-$285. 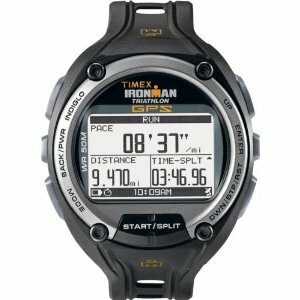 Timex T5K267 Global Trainer GPS Watch gives athletes the performance tools they need to succeed. With the Global Trainer, athletes can easily monitor their pace, speed, distance, elapsed time, and calories burned, helping them determine how much they have improved during training period. The watch also includes a 20-workout memory with dated summaries. As a result, athletes can record up to 1,000 laps of information and then download the data to TrainingPeaks.com, a free online training log site. The inbuilt GPS is easy to program and provides lot of data. Without any calibration it can be used to measure altitude, along with ascent and descent distances and rates. Cyclists love the Global Trainer's ANT+ compatibility, which coordinates with third-party bike power meters and sensors to measure a bike's cadence and speed/distance. Users love other additional features like Multisport Event Mode that records several activities and transitions in a single sequence; a customizable screen display that shows up to four windows of information; a hands-free option that automatically stars and stops data capture functions; and a rechargeable battery. A few reviewers find this watch to be little bulky. At times, the Global Trainer may take few extra seconds to get a lock on satellite signal and signal may drop easily in some locations. 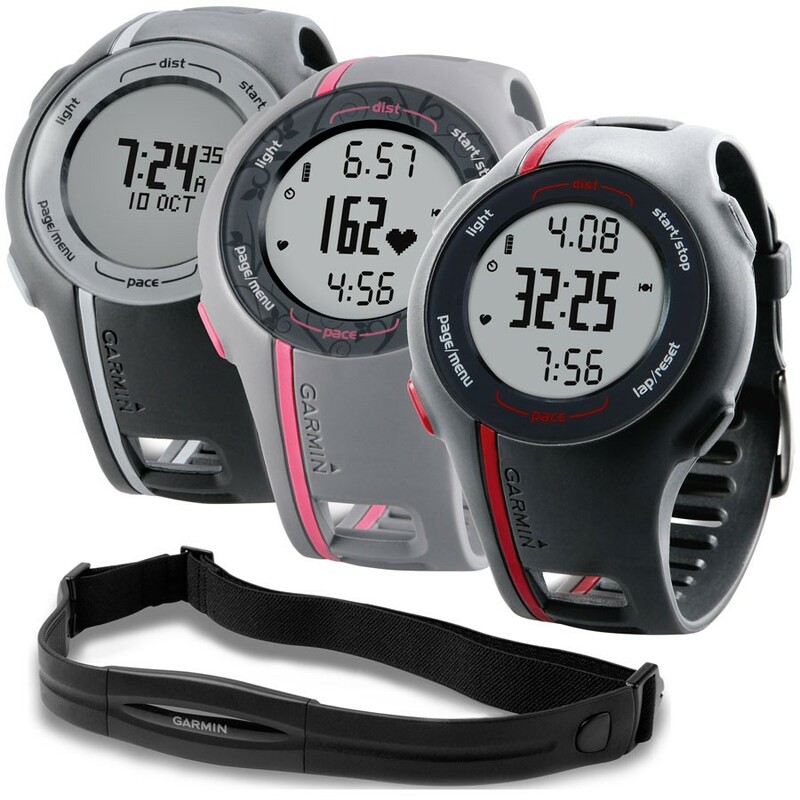 Overall, Timex T5K267 Global Trainer is an excellent training tool for athletes. Timex stands behind its product and provides good customer service. Train harder and smarter – says Timex Global Trainer. Coupled with Training Peaks software offers a great tool for monitoring your training and as important for me keeping me motivated to do more. It syncs easily with Training Peaks. 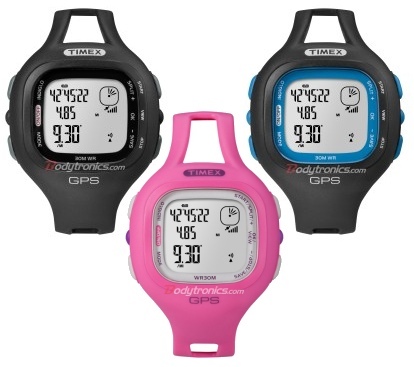 I wanted a watch to track my training distances and heart rate, I never imagined the that it'd do all that it does through the training peaks site, managing my training plans by sending me reminders, monitoring my heart rate zones and whilst out on runs keeping me up on my pace so I don't over do it. I really like how it integrates perfectly with Training Peaks an being able to go over all my training data. Timex software links directly to Training Peaks online with one click. Both the watch and the Training Peaks software play together very well and are extremely easy to use and customize. Really enjoyed the watch and pleased with how its helped me train & track everything. I can then upload the data to the Training Peaks online software and view my workout route on a Google Map. this's been a great training tool! It worked well at all times. The heart rate monitor worked good when I used it jogging, and the time, distance and speed seemed liked it worked good. I've ran several times with it and it works very well. It works well and is pretty easy to use. On the run section it worked flawlessly, and thanks to that i finished within my expected time. Some days it sure took a long time to get a signal to start working. This watch works pretty well, and I like it lot. I'm a serious walker and walk 7 + miles per workout 365 days a year and this watch has helped me decrease my workout times, keep track of distance, pace, heart rate, calories burned, and altitude with very accurate and downloadable information. After it aquires the satellites, which might take a minute, it works perfectly. This's everything it says on the tin. I'd recommend this device to any serious athlete that's looking to learn from their data and improve. It only records data every 2 seconds. Multisport mode is very cool. Really like the rechargeable battery, so easy to do while your downloading your latest workout. if timex is reading - when in multisport mode, assume i'm racing & not looking at my watch for a prompt! it's big, but that's good - you can actually see the data being displayed. From Timex's standard of quality equipment, to it's amazing customer service - this device is built to exceed your expectations. Its GPS sensor loose the satellite signal easily. It advised me that the signal was weak and, seconds after, that there was no signal. Keeps its signal, easy to use and set. The GPS signal gets easily lost under water so that the tracking for the swimming part of a triathlon isn't always working properly. Configuration is a really nice feature. Only drawback is that sometimes it get a while to acquire a GPS signal. Since it was developed for triathletes, it's three normal screens: SWIM, BIKE, RUN; and more 2 user defined pages. My only cons is that it takes sometimes a while to acquire a GPS signal where I live, so it can be annoying sometimes. Tough it can seem a bit...bulky (and quite really, it's !) this's a truly excellent product ! This's an excellent watch, highly recommended. USB attachment for charging and data upload to PC (and Mac?). This GPS is easy to program (easier on computer) and provides lots of data. It comes with a bike mount, heart rate strap, watch, and cord for downloading data. Make sure to update firmware before first use, since update will wipe out your data. 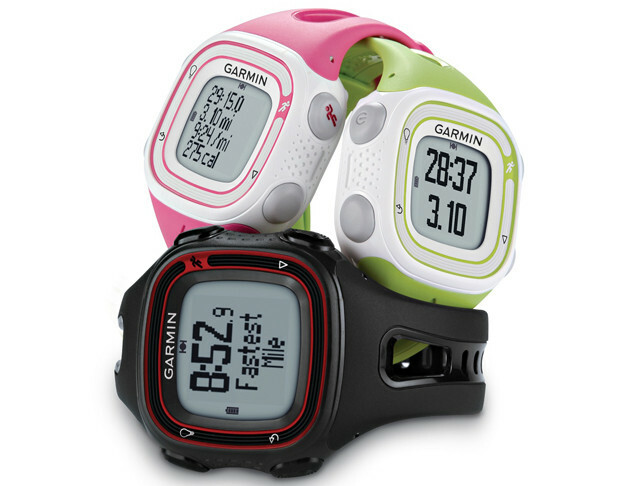 Its really big to wear on the wrist while running, OK on wrist or mounted for cycling. Appreciate being able to customize multiple views of the data. Took FOREVER to acquire signal... downloaded new firmware.. Does seem to take a few minutes to lock on to satellites. It takes longer than expected to acquire satellites, but once acquired, tracking is good. 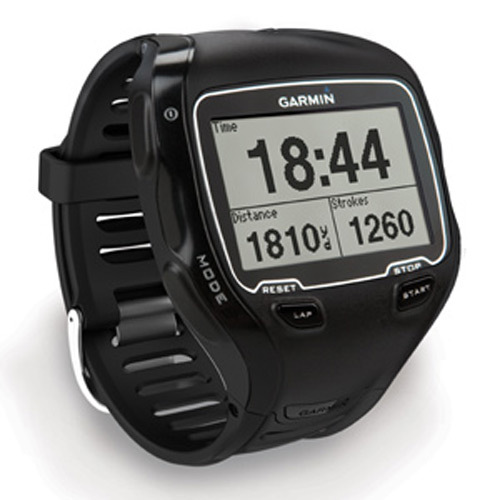 I like it more than comparable devices by Garmin. bike: accurate GPS signal, speed, cadence, power, split (all with their respective lap/average/event), compatible with garmin popular speed/cadence sensor, HR. I've the Garmin 350 and it acquires satellites faster by 1 to 2 minutes. 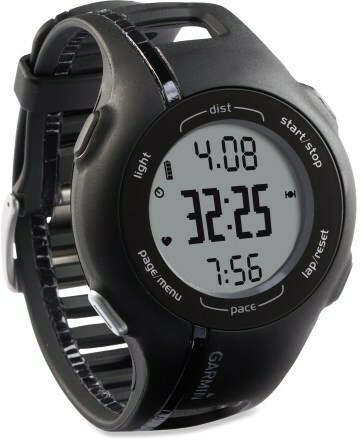 I also use the heart rate monitor that came with my Garmin 305 on this watch and it works fine. I installed the latest firmware update and it really helped with acquiring satellite signals. Its an extra $20 or so for the Garmin bike mount. On bike rides, I've compared the data from this watch to a Garmin 800 and the results are identical - except that the Garmin 800 sells for over $500. Garmin only has a 5 point scale I believe to track workout intensity. 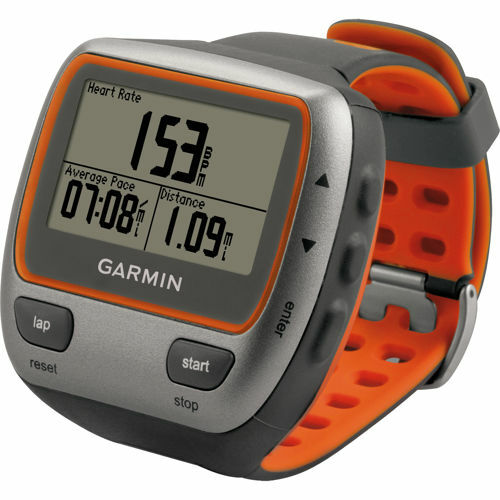 I think its better than the Garmin site.